Can I introduce you to an awesome local company? 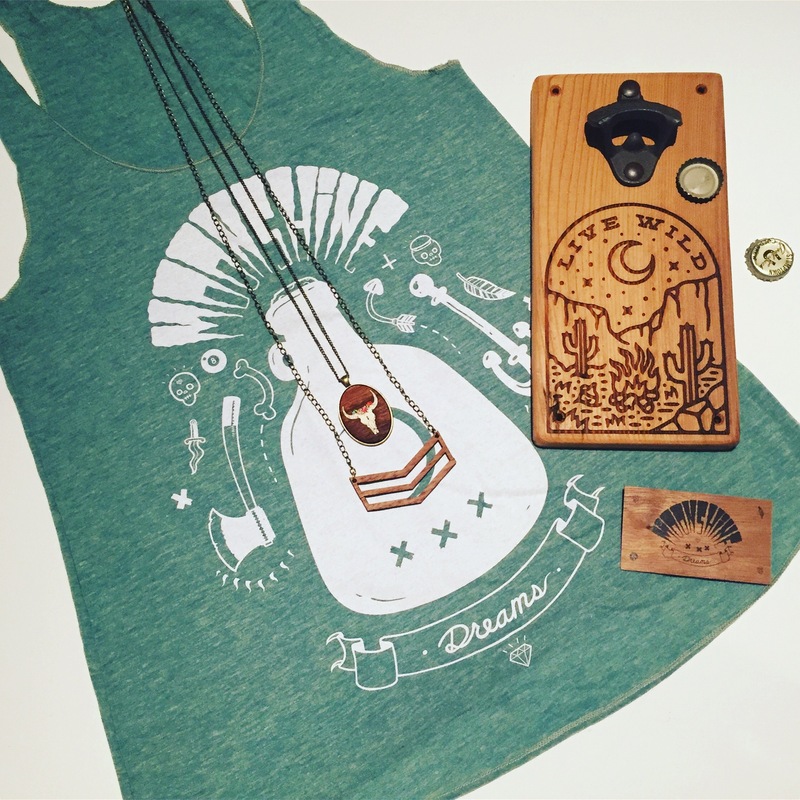 From wooden jewelry, to bottle openers this fun and unique company is continually impressing me. I came across Moonshine Dreams a few months ago and quickly came to the conclusion that I wanted one of everything. They are one of those companies that dominate your wish list with all their fun items. I’m loving Richards passion for Sailor Jerrys, pin-up girls, New Orleans and more, love how he took his creativity to making fun jewellery and other items! I’m a big fan of chevron style items and quickly fell for his Wooden Chevron Necklace first. It’s perfectly my style! And the Wooden Pendants? Love how creative and fun they are, and hand painted! What?! I’m also a big beer and cocktail fan so love the booze accessories like the Bottle Opener (it has a magnet so catches the bottle caps!!!!) and the flask (I need one of these!!!). Did you know he even does growlers on occasion? Oh geez, my new obsession with Moonshine Dreams is going to cost me! Find out where you can get their products, of course they are scattered around some funky Vancouver shops and across Canada but are quickly popping up around the states as well like in Hawaii and Georgia!